Catherine Duskin-Vernarelli is the Visionary Founder of AMP. Her multi-faceted career began early as a successful commercial model, actress, and professional photographer. She produced with her father, Executive Producer/ Director/ Advertising Executive Ken Duskin. She worked for Sunlight Pictures, Fred Levinson Productions, and many others on both sides of the commercial camera for television, print and films. Catherine is a member of SAG/AFTRA and studied directly under the legendary tutelage of several of the entertainment industry’s most respected and beloved Acting Masters including: Stella Adler; Lee Strasberg; Uta Hagen; and Milton Kaselis. She also had personal interaction with the late Audrey Hepburn, Ambassador to UNICEF, which inspired her to embrace Ms. Hepburn’s caring philosophy and dedicate the Company to continue the mission of helping the world’s children through positive mass communication. 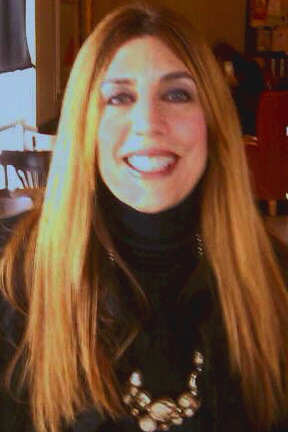 Ms. Duskin-Vernarelli co-wrote and sold an original screenplay, which was later made into the successful movie, “The Bachelor” which achieved worldwide distribution. She then created “LA Sharpshooters”, a successful production partnership in the early 80's in Hollywood, CA. Recognized in all the trades, it was cited by The Hollywood Reporter, Variety, and The Blue Book Directory to the Industry and honored by major clients in the advertising and film industry for its outstanding business attitude. Its clients included Citibank, Porsche, Orchid Paper Products; and produced big concerts for bands like “U2” and others, and worked with Virgin Records, A & M Records, LA Festival of the Arts, etc. and many motion pictures. LA Sharpshooters had a fully equipped soundstage with offices on Melrose Avenue in Los Angeles near Paramount and Raleigh Studios. Ms. Duskin-Vernarelli ‘s creative excellence, insight for both products and the market and her visionary corporate compassion got her invited to speak to CEO’s of Fortune 500 companies at Stanford University in 2001 just days before 9/11 on behalf of entertainment business and her positive philosophy of equal caring and sharing. Her new business paradigm gives her the edge in making a business that produces revenue for its investors as well as contributing to society. Stephen co-founded Visionary Founder of AMP Pictures and has contributed greatly to its ongoing vision and mission of positive mass communication and entertainment. Stephen's extensive production and creative writing experience is enhanced by his more than 25-year participation in the Telluride Film Festival, with exposure to much of the world's finest cinema. He is also a past member of the Steering Committee for the Sedona International Film Festival. Stephen studied Television Arts and has shot video for TV commercials, sports, documentaries, and concerts for artists like B.B. King & Willie Nelson; and has camera-assisted David Fortney, award-winning cinematographer of nature films. He was Production Designer for an independent film, Magenta's Miracles, marketed at the Berlin Film Market, and has helped build and/or decorate sets for major films like Three Kings with George Clooney, The Postman with Kevin Costner, Deadman with Johnny Depp, Timemaster with Pat Morita, Tank Girl with Lori Petty, and others. 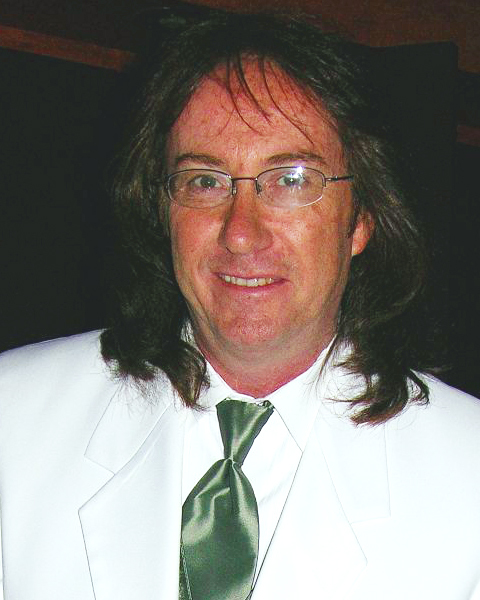 He formed Creative Film Services for his film & video production work and writing services from his home in Sedona prior to co-founding Amp Pictures, Inc. and Red Note Records. His studies in Creative Writing at the University of Arkansas--noted for its exceptional Department of English--and his film background has evolved to screenwriting, having scribed several, original screenplays and a novel--which are currently in development by the Company detailed in Projects in Development. He has also written a stage play; an anthology of short science fiction and is an active journalist. His Anthology of his original Science fiction short stories, “Synchronicity Gates” is published by Dandelion Books, Tempe, AZ. (www.dandelionbooks.net) and is available on www.amazon.com. His philosophy extends to teaching and helping children and teens with principles of life management skills through schools and community programs. Bonnie Cannon was born and raised in Southampton Village. She is a graduate of Howard University with 20 years business management experience; the first African-American woman to be elected to the Southampton Village Board of Trustees; the Executive Director of the Bridgehampton Child Care & Recreational Center, and the Chairperson of the Town of Southampton Housing Authority. Jamal Williams, playwright, novelist, short story writer, playwright and screenwriter, Jamal Williams has a Master of Creative Writing from The University of California at San Francisco State. He is a winner of the San Francisco Bay Guardian 1st Playwriting Competition for Best Full-Length Play, 1991 (“Is You Is or Is You Ain’t”). His first novel, entitled Where Dark Things Hide, is a hybrid urban science fiction and horror novel. He founded the Uptown Playwrights Workshop in Harlem. He co-founded the Harlem Screenwriters Workshop. Many of his works have been staged across America: Atlanta, San Francisco, Berkeley, Dallas, Washington D.C., Sacramento, Los Angeles, Winston Salem, North Carolina, Colorado Springs, Colorado, and New York City, amongst many locations. His most recent productions, an elaborate production of “Yesterday Came Too Soon” (The Dorothy Dandridge Story) starring Leslie Lewis Sword was done in April 2005 at The National Black Theatre in New York City; (Los Angeles Production, February/March 2004; and Berkeley Black Repertory Company, Berkeley, California, November 2003; and National Black Theatre Festival, Winston Salem, North Carolina, August 2003). “Return to Crosscreek” was selected as a stage reading in the R. Joyce Whitley Play Festival Karamu Theatre Company, April 2004, “Ding Dong Daddy” (Blacken Blues Theatre Festival 2004, Dallas, Texas), Pittsburgh Playwrights Theater Black/White Festival 2007. “Miss Laura Maye Brown of Harlem”, NY Downtown Urban Theater Festival, Manhattan Rep Summerfest – 2007. “Last Dance of the Panther Women”, Prometheus Fire Theater Co., Stamford, Ct. 3/28/08. . ’King Willie” has just completed a three year development program with The Essential Theater Company of Washington, D.C. “Osage Avenue” (The MOVE inferno) took Honorable Mention at the 2008 Downtown Urban Theater Festival at Cherry Lane Theater in New York. Additional stage productions are: “Eulogy for the Blackman” (Theater for the New City, New York, June 2002); “The Blue Mirror Revue” (via The Writer’s Clique at Harlem Theatre Company, New York, February 2002), “Yesterday Came Too Soon: The Dorothy Dandridge Story” (The 4305 Village Theatre, September 2001). This Los Angeles production was nominated for eight Hollywood/Beverly Hills NAACP Theater Awards of 2001. The production won for Best Actress. And “House on Fire” (Theater for The New City, New York, March, 2000) was highly acclaimed. “Ding Dong Daddy” was produced in that Black/White Theater Festival, in Pittsburgh, PA in October 2007. Jamal has won numerous awards, fellowships, and scholarships. He has an extensive body of work also includes two novels, and two screenplays. Christian Ruart is a world renown fashion guru, popular through out the design industry for his fashion shows, appearances on television show's (Next Top Model, Real Housewives of Atlanta, Reel Time Models) as a celebrity judge, celebrity stylist and fashion coach with his impecable sense of fashion do's and don'ts for the runway and beyond. He is the owner of Christian Ruart Fashion Group and Management Company, which is based out of New York City. Christian has worked with and discovered actors and models like Jimmy-Jean Louis, Tyra Banks, Ilmira, Claudia Schiffer, Cindy Crawford, Naomi Campbell and Tyson Beckford. Honorary Board Member HRH Prince Africa Zulu was born on May 4, 1978 in Ulundi, KwaZulu Natal. He is a Zulu Prince descending from a long line of royalty and is directly related to King Shaka Zulu, King Mpande Zulu and the current monarch, King Goodwill Zwelithini Zulu. He enjoyed playing tennis as a boy with his late uncle Prince Gideon Zulu of Kwa minya, and as a child, he was very close to his late father Prince Ntokozo Zulu. Later, he studied Politics and Sociology at the University of Natal in Durban. He now spends his time attending various social events and running his Foundation. HRH Prince Africa Zulu is the Chairman of the Prince Africa Zulu Foundation Trust, which was formally launched in July 2012. Prince Africa is also the Executive Director of the annual Onkweni Royal Cultural Festival in Ulundi, KwaZulu Natal. This year makes the 5th anniversary celebration of the Onkweni Royal Cultural Festival, which showcases and supports traditional Zulu arts and culture. Prince Africa founded the festival to honour the life of his ancestor HRH Prince Shingana, son of King Mpande. including Switzerland, Holland, Belgium, Hungary and Great Britain. HRH Prince of Onkweni is often seen in reality tv shows such as "Undercover Princes," and is an actor and filmmaker with his own production company.